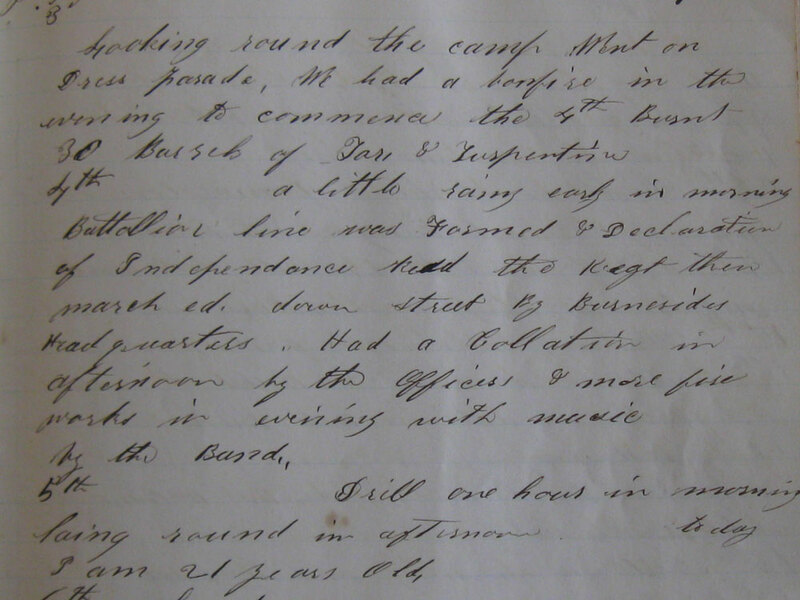 Item description: Newton Wallace, Company I, 27th Massachusetts Infantry, wrote this description of how he spent July 4th, 1862, in his diary. Wallace and his regiment were in occupied North Carolina, camped in tents “on the Old Fair Ground” in New Bern. This entry was posted in North Carolina Collection and tagged 27th Infantry (Massachusetts), Burnside, camp life, diaries, diary, holidays, July 4th, New Bern, Newton Wallace, North Carolina, occupation, occupied territory, soldier conditions, Union occupation, Union soldiers. Bookmark the permalink.